John Lawson Park is an icon of West Vancouver history and heritage: in 1872, Navvy Jack Thomas, West Vancouver’s first non-native resident, built his home here. In 1905, John Lawson, the “father” of West Vancouver, settled in the same home with his family. Today, the park is a favourite spot for picnickers, swimmers and families. See for yourself why this been a West Vancouver hotspot for almost 150 years. 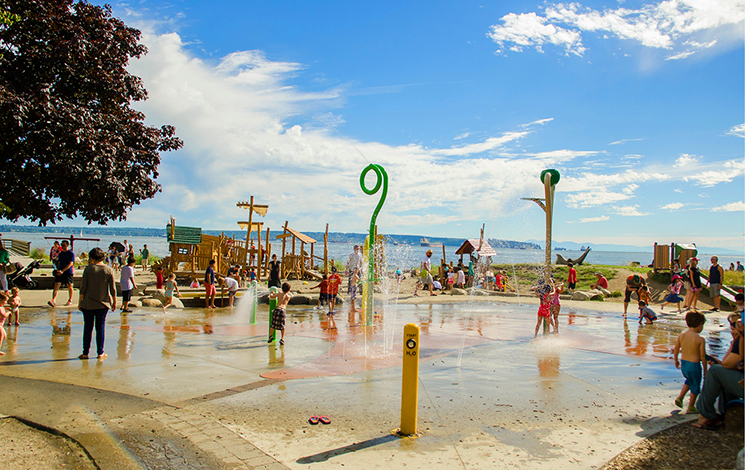 With a new splash park and playground, your kids will love spending a day outdoors in West Vancouver's newest play area. 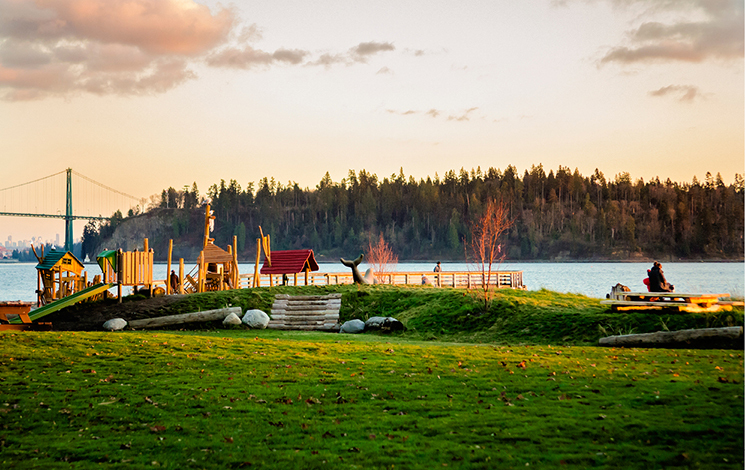 The playground includes a whimsically updated pirate ship, modern playground equipment and walkways in and around the playground. John Lawson Park is a great place to cool down during the hot summer months. The pier at John Lawson Park has long been a favourite spot for boat watchers and sunset gazers. 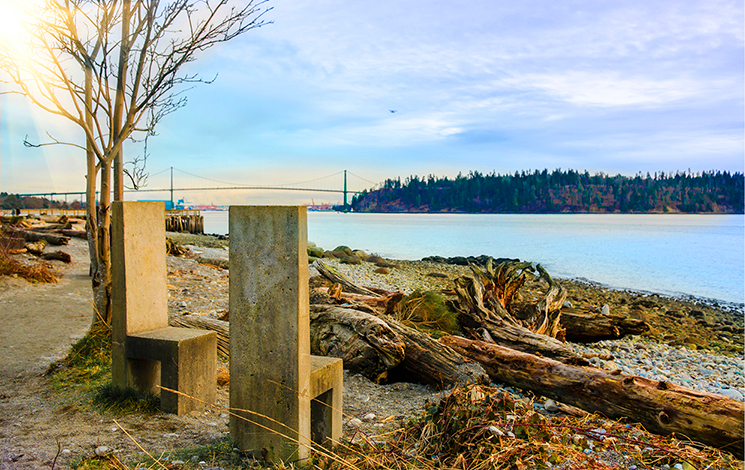 John Lawson Park is the mid-point of the Seawalk, and a lovely place for a waterfront stroll. John Lawson Park is located at the foot of 17th Street at the waterfront. A parking lot and street-side parking are available. No dogs are allowed in John Lawson Park. Check out Dogs in Parks for information on off-leash areas, licensing and more.